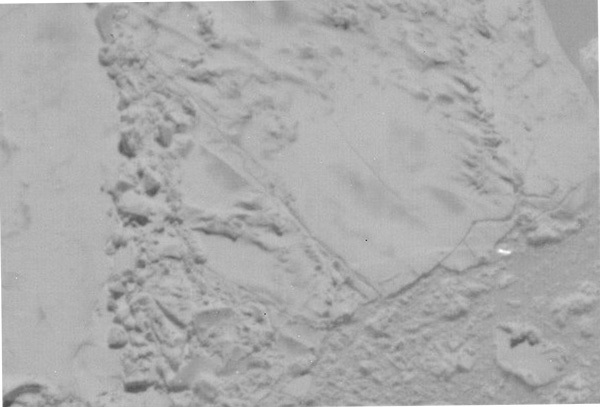 Slide between the high-resolution aerial photograph on the left, and the thermal image on the right. Can you spot the polar bear? It's not easy to count white polar bears on white sea ice. But in Spring 2016, Russian and American scientists used infrared cameras and high resolution aerial photographs to locate warm-blooded mammals on the sea ice of the Chukchi Sea. It's the first comprehensive mammal survey ever in this region. 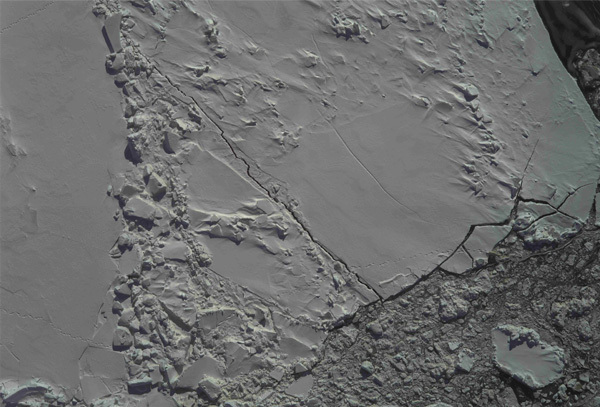 These photos from the USFWS/NOAA Fisheries aerial survey show how thermal images reveal a polar bear as a bright white spot on the sea ice.